I am constantly struck by how many opportunities we have as humans to be more present and more compassionate. 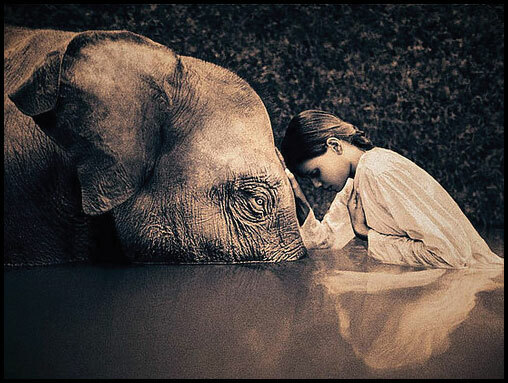 We have truly been given a precious opportunity to continue growing up into more wise and loving creatures. This is one fact that helps me remain in love with and committed to life despite its outrageous challenges and seemingly never-ending pitfalls. I hosted one of my JAMcamps this past Monday for 14 children ages five through eight. Our theme for the day was “non-harming”. In addition to singing songs and making art and books related to this theme, we practiced a little meditation I call Finger Meditation. Basically, we “promise” or set an intention that “we will NOT HARM people, animals, plants, the earth, or ourselves.” We also “promise” or set an intention that “we will HELP people, animals, plants, the earth, and ourselves.” And we simply commit to doing our best in these areas, and to staying present for opportunities where we can choose non-harming over harming, and choose helping over doing nothing. These little children understand immediately the power and relevance of these promises and intentions. They comprehend deeply the necessity of making them. They unabashedly want to follow through on them. They literally shine with light and love as we discuss things like why it’s important not to intentionally squash a spider, why it’s a worthwhile endeavor to respect the incredible complexity and intelligence of an ocean and its creatures, why it’s crucial that we treat each other and everything with respect, why it might be a healthy choice to shake off our hands after washing them rather than use yet another tree-born paper towel. The brilliance, intelligence and heart I continually witness in the children I share time with gives me more hope for the future of our planet than most things. They GET it. It is important for us to find and nourish these sources of inspiration, lest we fall into the traps of apathy, depression, overwhelmth, and fear. For apparently we have been born into a time of great upheaval, change, chaos, even darkness. Most of our political, economic, social and environmental systems are desperately off balance and increasingly sick. If you are awake to what is actually occurring, you certainly feel at times overwhelmed, paralyzed, confused, angry and/or apathetic. Yet we are tasked with the seemingly crazy and impossible job of making sense of all of this, while somehow continuing on with our lives with a modicum of equanimity, compassion, joy and ideally also a dash of optimism and a dose of helpful action. So what are we to do about it all? Obviously, there’s no “top ten” list to answer that question. Yes, we should change our light bulbs, but that can’t be where we stop. Unfortunately there’s no single big “fix” we can make in our own personal lives (like moving to the land), or in the workings of the systems of which we are an inseparable part (like gaining control of the Senate), that will turn this ship around. But there is very important work to be done in the world, so we do continue to make choices that are healthy for ourselves and our communities and our environment — some of them big and radical and transformative — and we certainly must continue to vote. And there is VERY important work to be done on ourselves — to awaken to and shatter the forces of greed, hatred and delusion within our own hearts and minds. This has always been true, and it is perhaps even more true and urgent now. There’s a wonderful Pali word that speaks to this moment we inhabit and how we feel about it: samvega. It basically means, “a sense of shock, anxiety and spiritual urgency leading to wise action.” Certainly one of the best and most effective forms of wise action for us as human beings in the face of today’s immense challenges and the associated difficult emotions that come up for us is to continue and deepen our meditation practice. For this practice has as one of its fruits the strengthening and fortification of our ability to bring more presence and awareness to everything — every moment, person, situation, emotion, thought, experience. And the better able we are to be present, non-reactive, non-judgmental and clear, the better chance we have of behaving in a way that helps rather than harms. We need to practice (ideally, daily!) in order to strengthen these tendencies and habits — in order to water the seeds of kindness, generosity, gratitude, forgiveness, and love inside of us, rather than the seeds of greed, hatred, fear, doubt and delusion which we all also carry within. Training our minds and hearts and changing ourselves in this way WILL ultimately change the “outside” world, for we are inextricably woven through with that entire world — all of its molecules, all of its energy, all of its beings and non-beings. There is no true separation we can actually measure. Inter-being is a fact. So the transformative effect of this work we do with and inside of ourselves in meditation practice is not something to underestimate. Merriam-Webster defines crisis as follows: “a difficult or dangerous situation that needs serious attention” and “the turning point for better or worse in an acute disease or fever”. I just love this! For certainly, we are, here and now, alive during a time that “needs serious attention”. And certainly things are both “difficult” and “dangerous”. But notice the “better or worse” clause. It is as if the earth and humanity were infected with an acute disease, and we are right now at or approaching the height of the infection. In which direction will the illness go? Toward death, or toward life? Toward annihilation, or toward a great turning? I firmly believe we can do our part to turn this crisis in the direction of love and healing, starting from our very own meditation cushions. “May I be happy. May I be healthy. May I be safe. May I be at peace. In addition to a very beautiful way of loving and caring for ourselves, this practice nourishes the heart, stabilizes the mind, and is generally a comforting place to land. Certainly, we can all use all the comfort we can get these days. And the odds of us being able to find and cultivate this comfort within, taking charge of our own suffering and our own karma, are a lot higher than finding it in any leader or system or anything external for that matter. Yes, we have to mother ourselves. And, in doing so, we mother the world. So, we must find ways to act, and we must find ways to sit and do nothing. Start off be getting inspired by some human beings practicing courageous and dramatic action in support of the healing of our earth — the Pacific Climate Warriors’ recent efforts in the seas off Australia. And then spend some time on your cushion, loving the earth by loving yourself, being kind to the earth by being kind to yourself, cultivating the wish for ALL BEINGS to be happy, healthy, safe and at peace. This is certainly something we can do. October Mindfulness Tip: Practice Lovingkindness Often! Experiment with adding a short (5-minute) or longer (25-minute) lovingkindness practice to your meditation schedule. Perhaps 2-3 times per week for the next month, replace your daily meditation with a period of lovingkindness. Alternately, you can end each of your regular sits with a short period of lovingkindness practice. Or even expand your practice to add a lovingkindness meditation on a day you’ll also do your regular mindfulness practice (For example, when I can make the time, I like to practice Lovingkindness in the morning, and do a regular sit later on. It starts my day off in such a gentle way and sets the stage for kindness and a more open heart all day long). This is also a wonderful practice to do as a “last thing” before you go to sleep. Get cozy, release your the worries and anxieties and stress of your day into the bed/floor/earth, and give yourself a little extra love! Finally, if it feels overwhelming to do the whole practice (starting with yourself, moving to a benefactor or friend, then a neutral person, then a difficult person, then all beings), just stay with yourself and practice there. You’re worth it! I will leave you with a song. It’s about lovingkindness and sharing our love, all around. Sing it in the shower. Sing it with your kids. Sing it to your partner. Sing it to the trees and the oceans and the rivers and the skies and the breeze. And sing it to your very own heart. This entry was posted on Saturday, October 18th, 2014 at 10:54 am and is filed under Meditations, Observations, Songs. You can follow any responses to this entry through the RSS 2.0 feed. You can leave a response, or trackback from your own site.